Click here now to book your adventure with Curated Global Travel! Ever wondered what it would feel like to wake up to the sound of the river flowing below, watching the sunrise and drinking coffee all while being 200 miles to the closest metropolis? 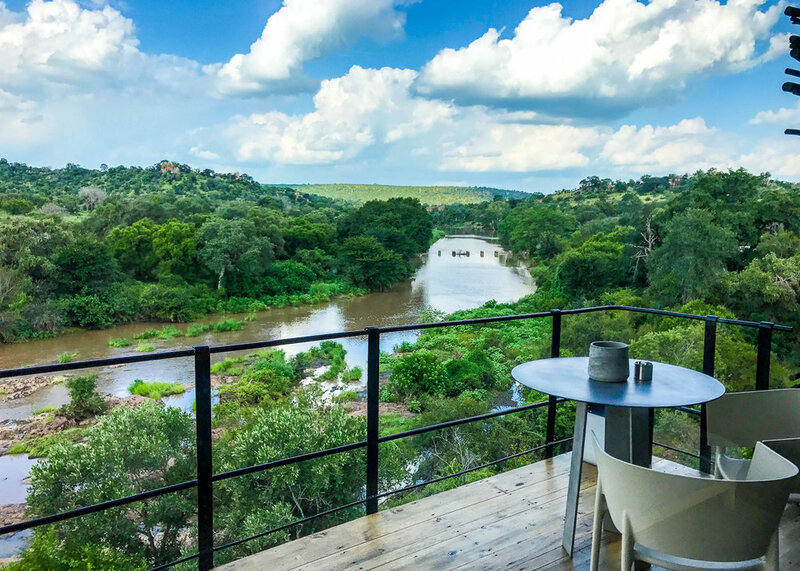 You can have all this, plus the incredible opportunity to see amazing wildlife and enjoy some quality time with your loved ones in a once in a lifetime experience at Singita’s gorgeous Lebombo Lodge. From the moment you touch down on their private airstrip, you are taken into a world of elegance and exclusivity. 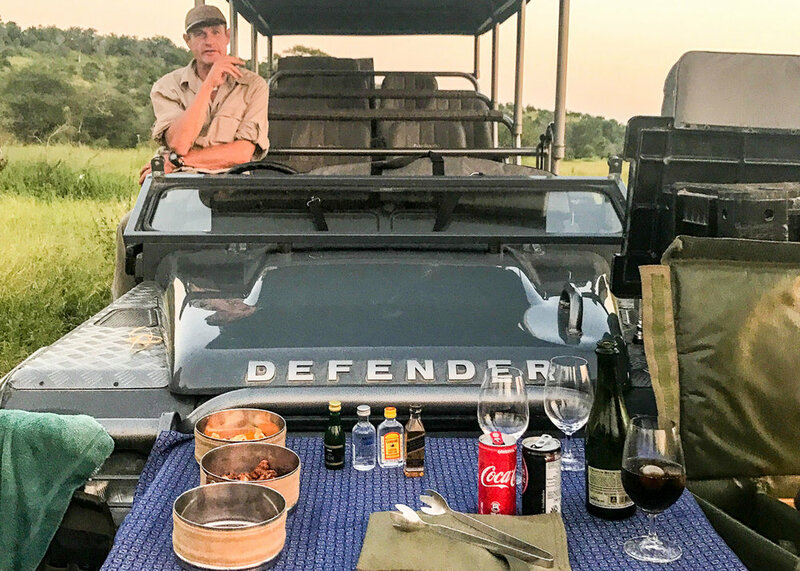 A vehicle with a game ranger will come collect you and take you to the lodge where along the way you get your first sightings into the vast fauna and flora that is home to the wildlife you are about to see for the next few days. On arrival, a cold towel and refreshing drink are served while you are introduced to the staff that will most likely be like family by the time you leave. Check in formalities take place in the lounge area that overlooks the river and the beautiful bouldering hills. After which you are taken to your room, and shown the breathtaking suite in which you and your family will be spending the next few nights. 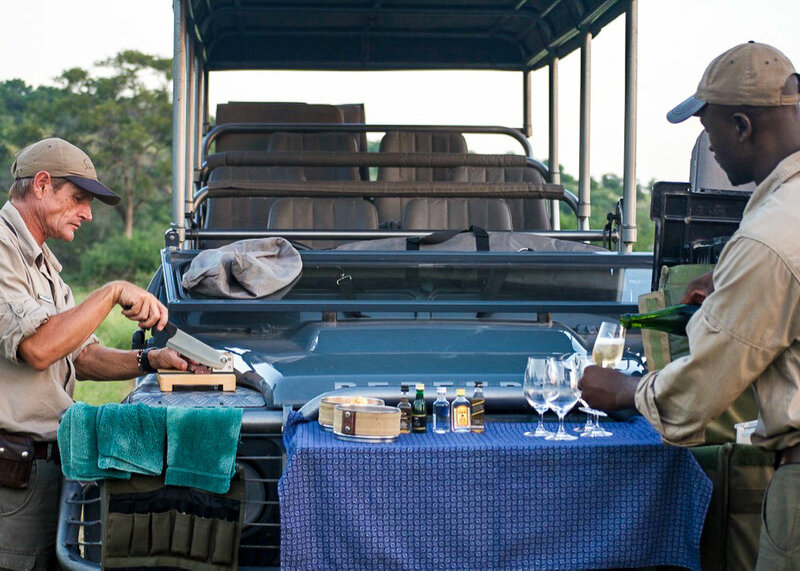 After lunch, it’s time to head out on your first game drive where your ranger and tracker take you into the heart of the bush in an open-air vehicle. 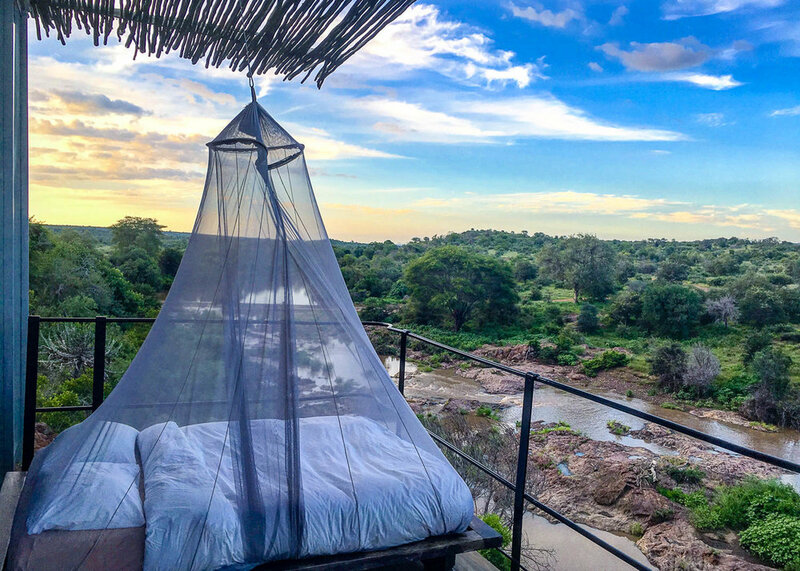 You will get the opportunity to see the National Geographic channel come to life right before your eyes: a lion hunting in the Dusk; a herd of Elephants brushing past your vehicle; a beautiful rare bird feeding off an ant hill. After an hour and a half or so, you stop off in a clearing and have a traditional sundowner (cocktail), and served some local snacks before heading back to find some more game. After the adrenaline of your first game drive sinks in, and you have checked off some bucket list sightings, it’s time to head back to the lodge where you follow the candle lit pathway to your dinner table down by the river. Your butler awaits your return to pour you some amazing South African wine, and present you with the tantalizing menu for dinner. After dinner, it’s time to tuck in and get some rest before your 5 am wake-up call to do it all again: Eat. Sleep. Safari! Belmond reveals its 2017 edition of ‘The List’, a month-by-month guide of the most inspiring LGBT family destinations you need to visit this year! Whatever your travel aspirations for this year, let us help you plan your next unforgettable adventure. Click here now to book with Curated Global Travel!